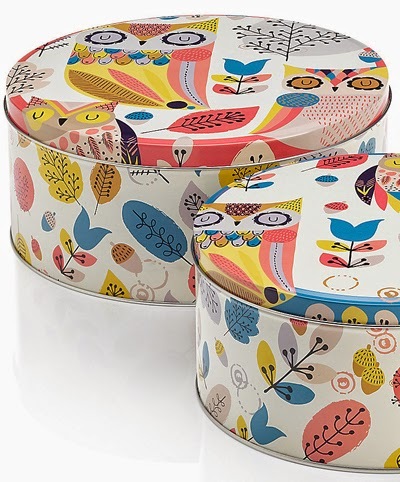 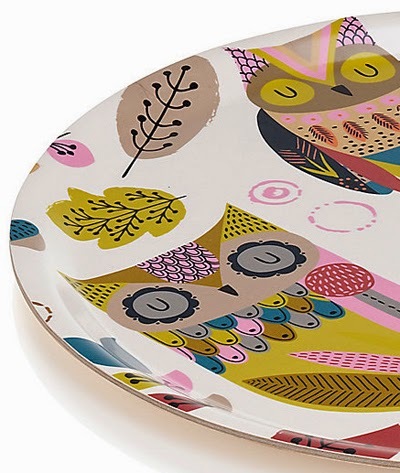 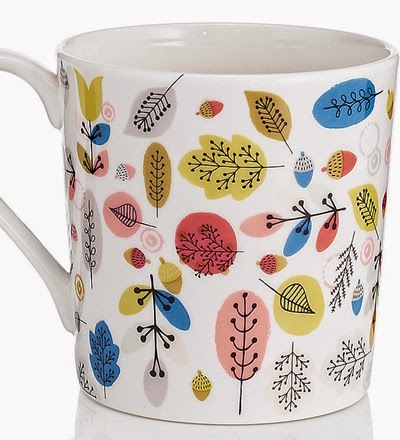 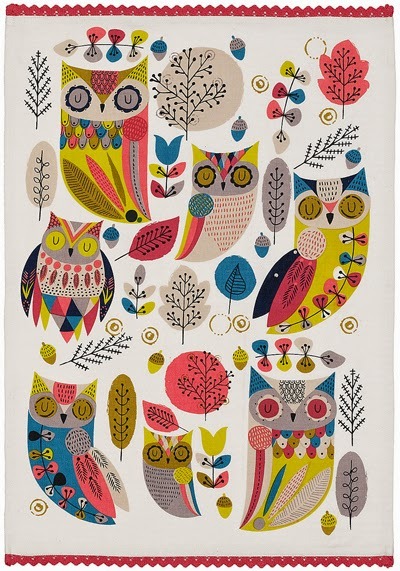 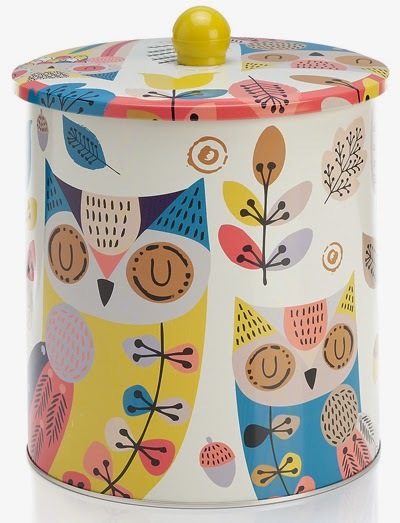 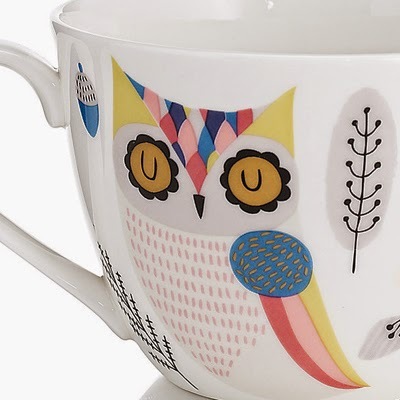 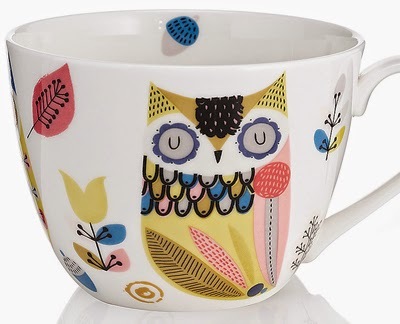 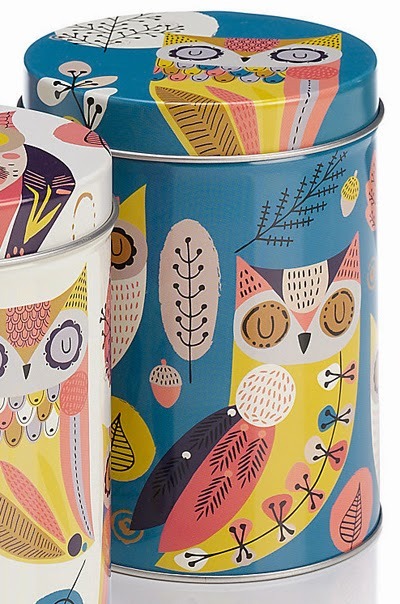 I have fallen head over heals for this new owl print spotted at Marks & Spencer. 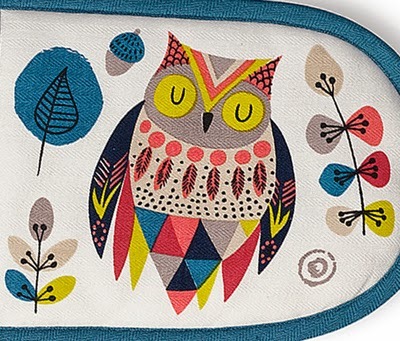 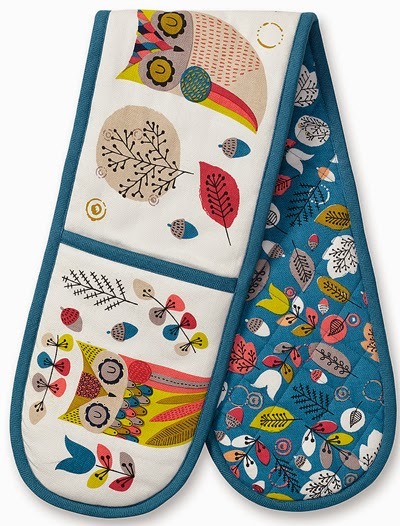 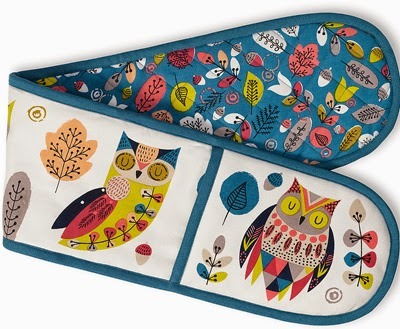 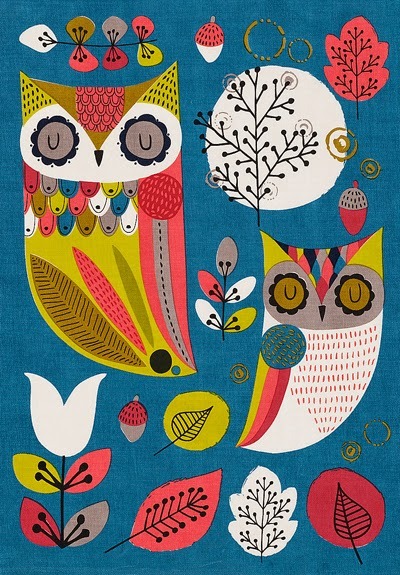 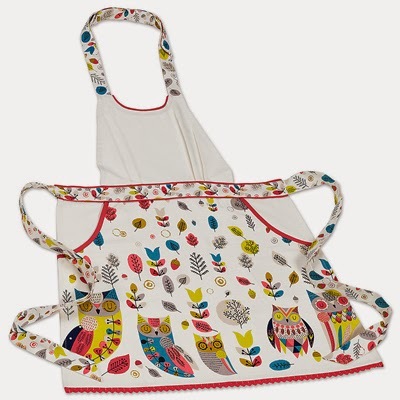 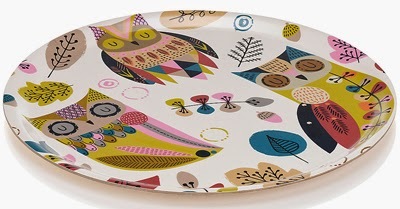 The colourful 'Owls' design mixes a lot of print trends such as woodland, triangles, and even tribal navajo styling. 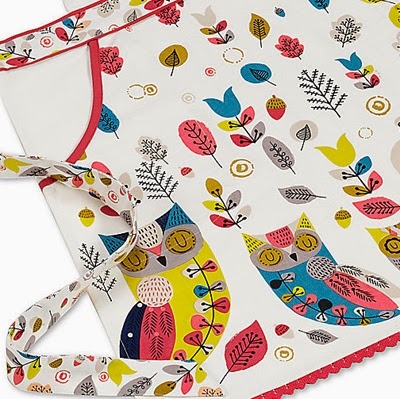 Its available on tea towels, an apron, oven gloves, tins, mugs, cups and a large tray. 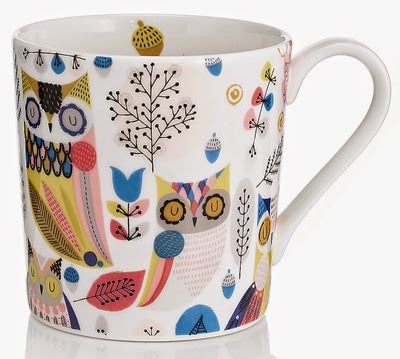 All spotted online here at Marks & Spencer. 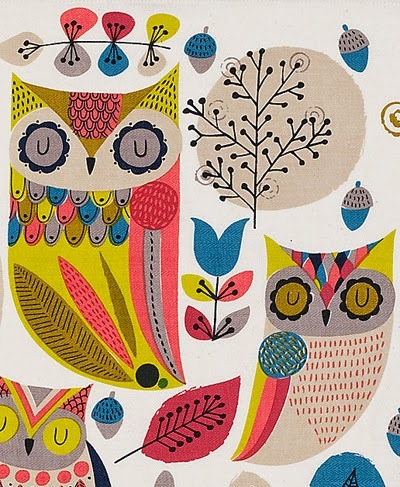 ohhh my. 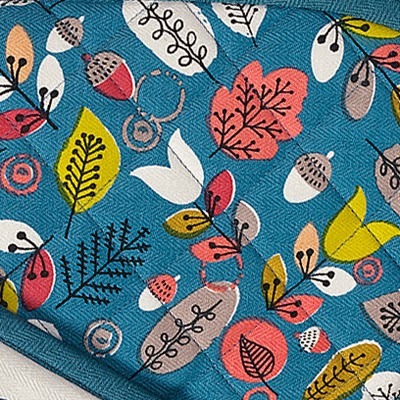 absolutely love this line! 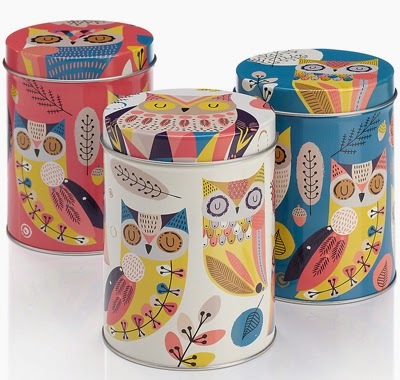 Wow, these are super cool - love the colourful retroness of them!